June 5 Episode: Stage is set, actors arriving. "Ten 40 foot containers...coming from the USA, France, Finland, Czech Republic and Japan, about 10,000 pieces in all!" Above: "What a beautiful city. What can I do?" 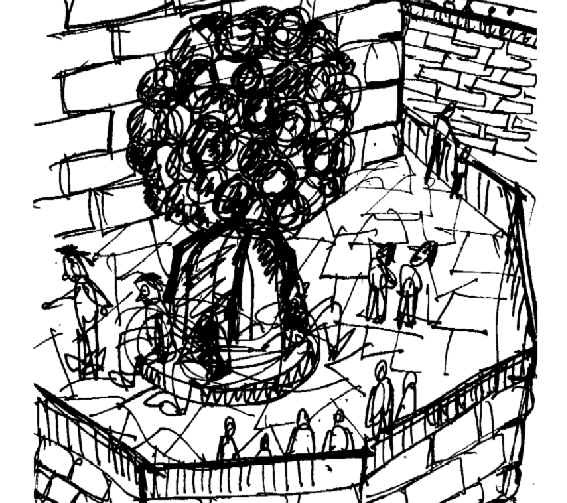 One plan: "We'll have to get mountain climbers from Israel or elsewhere to scale the Citadel walls both outside and inside to put flowers--thousands of them--coming out of everywhere." Above: Moon Ball. I like the faces on the visitors. Federal Express arrived today with a package of slides from Ken Clark (photos by Tom Lind, Donna Goetsch and others)of the mockup of the Crystal Mountain that will be built in Jerusalem. 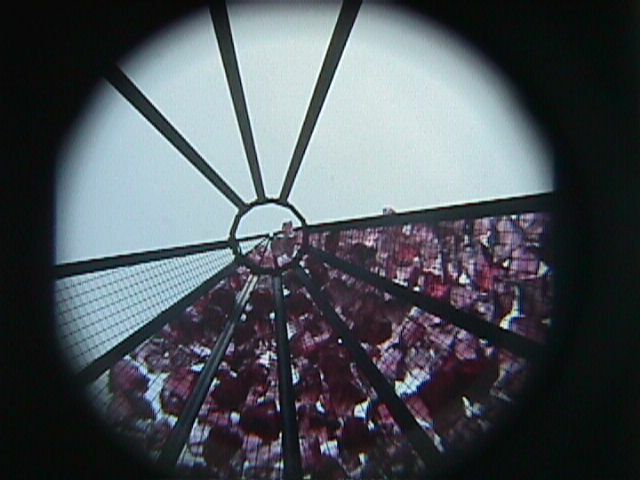 Viewing these through my hand held slide viewer (as you can see just below) I see a metal armature with what appear to be large chunks of glass attached (center image). An inside view looking straight up is at right, a portion of the outside at left. I guess the height to be 25-30 feet. The project has become so big, demanding so much glass, that Chihuly has begun to scour other installations, creating a recall of components to Jerusalem. Messages sent from Hiroshima or Seattle or The Czech Republic are flowing into voice mail about Chihuly chandeliers and other components that could be taken apart and shipped to the Citadel. In the midst of these voices, I hear Charlie Parriott reporting about ice molding processes: Chihuly wants 62" diameter solid spheres of ice cast for an installation near the Dead Sea. Each sphere will weigh more than my car, but how to "eject" the ice from the mold seems to be a problem. 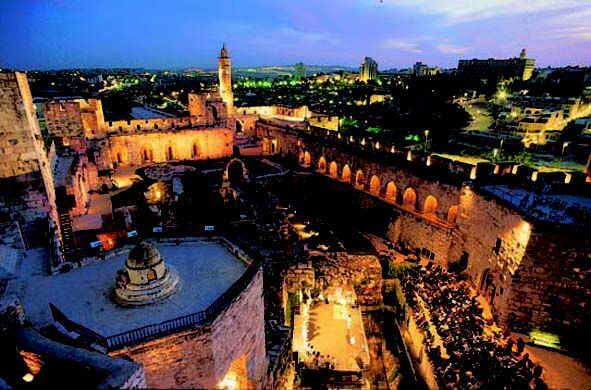 Dale has returned from Jerusalem and details of the project are now in sharper focus. 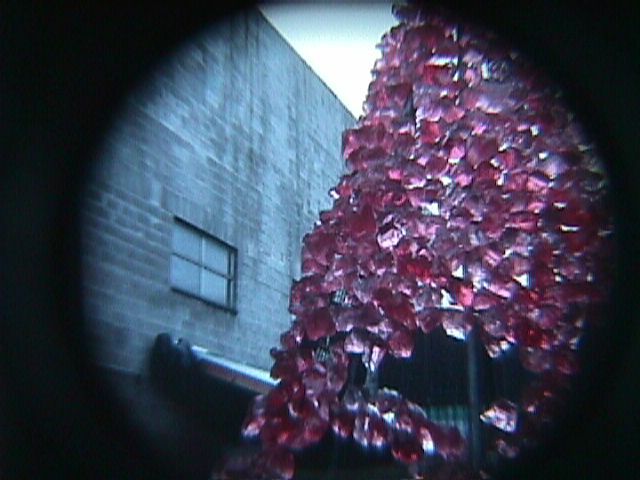 He plans a 66 foot high tower of glass (see fax below) as well as a 33 foot tall crystal mountain. This shift in scale means more people on the team (maybe 30) and an earlier date for the start of construction (second week in June?). A giant crane will be needed to lift the containers of glass over the walls of the citadel. 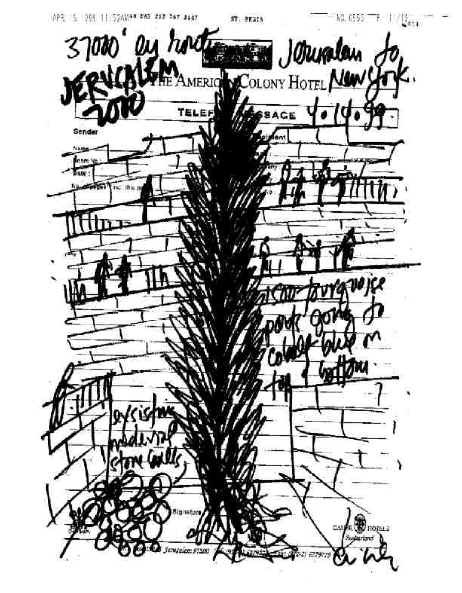 A page from Dale's fax about the glass tower is just below (written on the letterhead of the American Colony Hotel in Jerusalem, written enroute to NYC at 37,000 feet, faxed from the St. Regis Hotel in Manhattan). 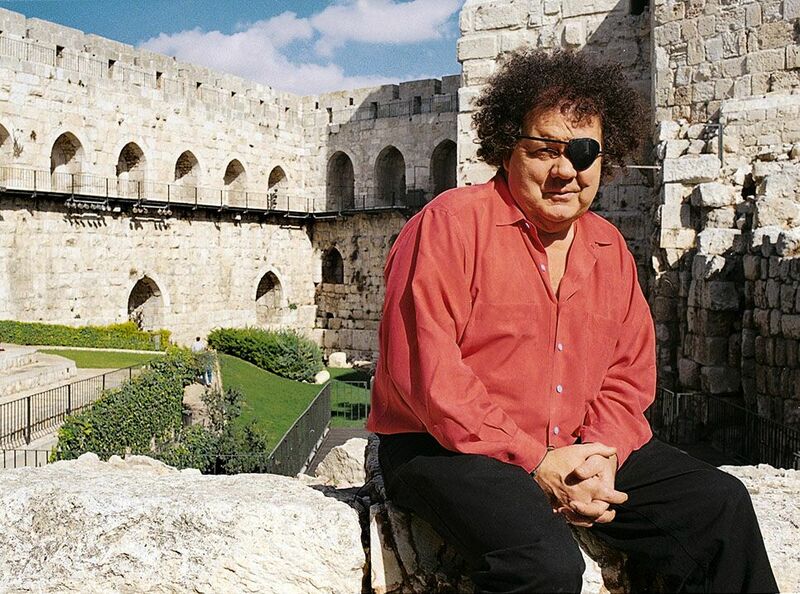 Dale travels to Jerusalem April 12-14 to survey the site for the installations and perhaps to locate a glassblowing studio in or near the city where he could make some work. I hear on voice mail that there are problems as to how to climb the walls of the citadel to install the "crystals" -- the mountaineering equipment originally planned may not work. "One can hardly grasp all these vicissitudes--the peoples and nations and causes, the policies and personalities. Their history becomes unimaginable, and they all seem to recompose, like the sequence of colors of the spectrum, in the tranquil luminous sky." I imagine the three glass towers Chihuly is contemplating as embodying all these colors in a tranquil spectacle. 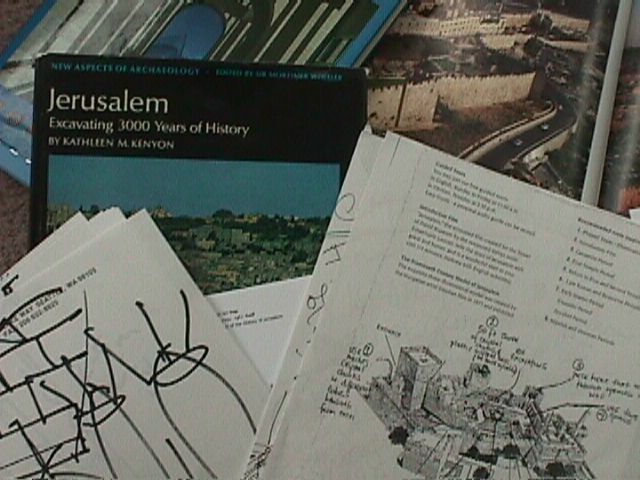 Faxes from Dale about the project (the fax of the Citadel at lower right has Dale's notations that read in part "50 foot tower of crystal" and "crystal chunks hanging off wall"); Kathleen Kenyon's book "Jerusalem: Excavating 3000 years of History" and "Skyline Jerusalem" by Tal and Haramati. Spoke with the artist Paul Stankard about the project. He reminded me that beauty is heavenly and that the soul responds to beauty and that energizes the body. That's a nice link between heaven and earth! Spoke with Mark McDonnell today about the Jerusalem project. We decided to try a "down and dirty" site for instant web dispatches, linked to the more elegant main web site for the project. On voice mail over the last few days, the project seems to be coming into focus. 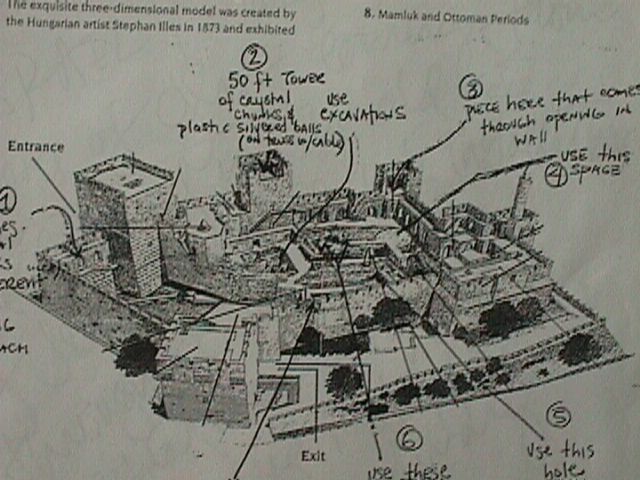 Dale plans to erect three towers that will emerge from the ground of the Citadel and return into the archaeological terrain. 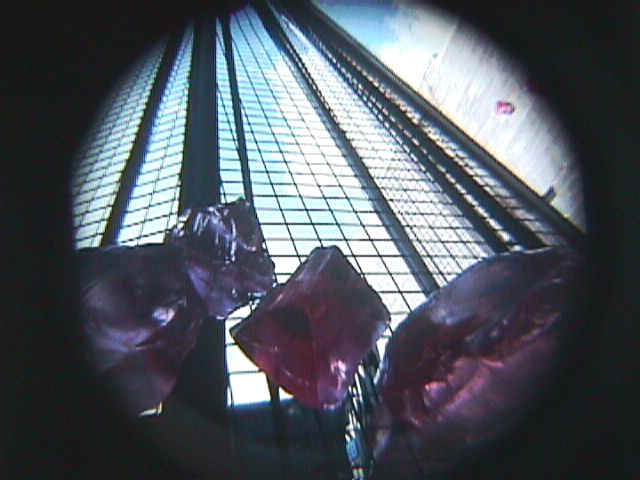 In addition, there will be fragments from the Polomar project attached to the walls. A second site, at the Dead Sea, is planned for the future, with cast balls of ice of substantial scale.